Bergner frying pans have been added to the site. 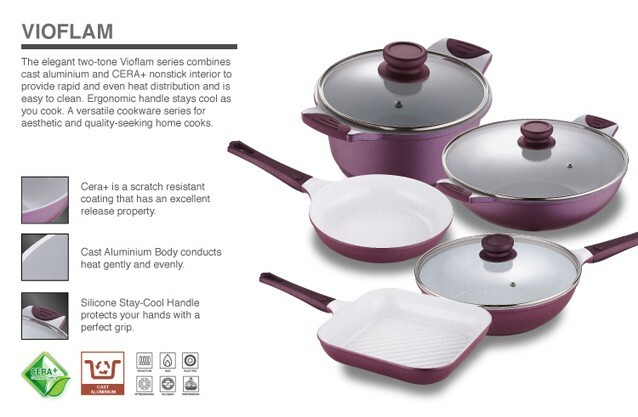 There are four Bergner Vioflam ceramic frying pans on offer in various sizes. They're pretty unique in that they utilise a cast aluminium design and CERA+ nonstick interior which provides even heat distribution, rapid heating, scratch resistance, ease of cleaning and is ideal for low-fat cooking. Stay tuned as we'll have more products on offer next week. If you wish to receive more information on our current offers then please subscribe to our mailing list by entering your email in the subscribe box at the bottom of the pages on our website.